COLUMBIA, Mo. 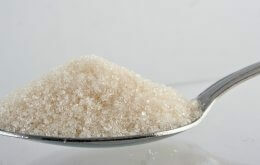 – Obesity and Type 2 diabetes have been linked to several health issues, including an increased risk of bone fractures. In a new animal study, University of Missouri researchers examined how the development of obesity and insulin resistance contribute to bone-fracture risk and whether exercise prevents weight gain and diabetes and protects bone health. They found obesity and Type 2 diabetes negatively affected bone, but exercise prevented weight gain and diabetes and increased bone strength. These findings could inform interventions to improve bone health among individuals with obesity and Type 2 diabetes. Hinton and her colleagues examined how the development of obesity and Type 2 diabetes affect bone structure, formation and strength over time. Specifically, the researchers studied the bones of rats that had a predisposition to overeat, which caused the rats to gain weight and become insulin resistant. This pattern of weight gain and insulin resistance parallels the development of obesity and Type 2 diabetes in humans, Hinton said. The researchers allowed half of the rats to overeat and voluntarily exercise on running wheels; the other rats programmed to overeat remained sedentary. The researchers also had a control group of non-overeating rats that remained sedentary. The researchers studied bones from rats in the three groups at different ages to determine how early in the development of obesity and diabetes the bone was affected negatively. This study doesn’t explain how exercise increased bone quality, Hinton said. The animals in the exercise group were healthier; they didn’t develop the same insulin resistance and diabetes, which might explain why the bones of the exercising rats were healthier, Hinton said. “Once we can identify why bones in individuals with obesity and Type 2 diabetes are weaker and how they become weaker, we can start developing more treatments through lifestyle and behavioral changes,” Hinton said. Research reported in this news release was supported with resources and facility use at the Harry S Truman Memorial Veterans Hospital in Columbia. The research partially was supported by a VA Career Development Award (VHA-DCA2 1299-01;RSR) and by the Department of Nutrition and Exercise Physiology. Study co-authors from MU included Lynn Eaton and Scott Rector. Kartik Shankar from the University of Arkansas also collaborated with the MU researchers. The article, “Obesity-related changes in bone structural and material properties in hyperphagic OLETF rats and protection by voluntary wheel running,” was published in Metabolism.